Copyright: The participant retains all copyright for their images. 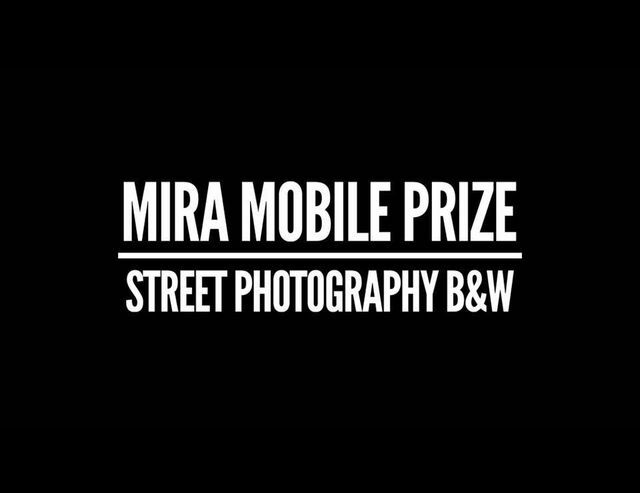 Any image used by the MIRA Mobile Prize B&W 2017 will be identified by copyright. All the images can be used in publications and publicity regarding the award. A week in Porto (6 days, 5 nights, with accommodation) with round-trip from a European capital. Trip to Picos da Europa ((Fotoadrenalina program) is given to the best portuguese image. In case the first winner is portuguese, they can instead choose a trip with accommodation to Companhia das Culturas in Castro Marim, Algarve.